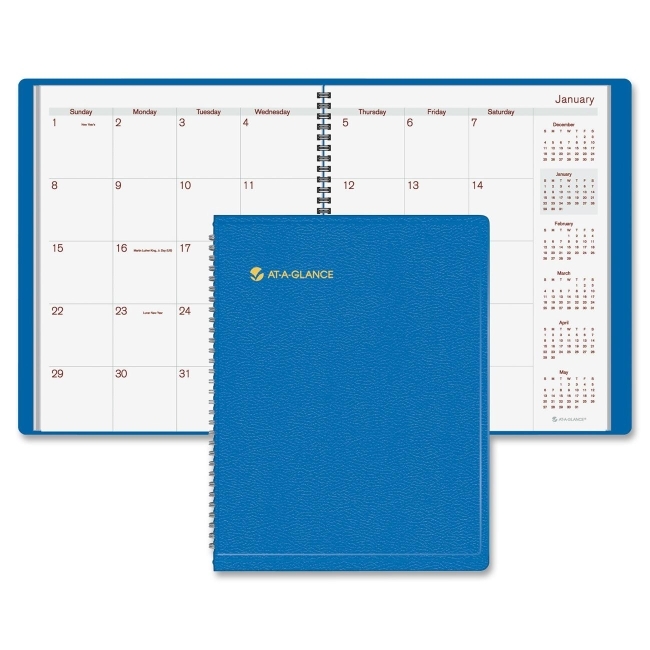 Monthly planner offers the scheduling basics you need with fashion color covers you want. Dated planning pages range 15 months from January to March. Two-page-per-month spreads include an upscale two-color format, unruled daily blocks, Sunday-through-Saturday scheduling, holidays, and past, current and four future months reference blocks in a column on the right. Wirebound appointment planner also offers a perforated memo section and flexible, simulated leather cover. Planner is nonrefillable.